The amazing nursing group to Joan Grey. I really cannot guess at what Charles Lusted may oy or may not have thought, but, I certainly think that is a remarkable and rare group, I would certainly be absolutely delighted if it were in my collection, at the point in time that it represents, both booze and fillies were a very real problem, moreover, the War Office knew it, although, their response was rather muted. djb wrote: At the weekend I paid a visit to the NAM with my son, my first visit since it was refurbished. I had very positive memories of my earlier visit and the museum has been through a transformation to focus more now on broader aspects and the experiences of those involved in conflict. That said, there are still many interesting items from the ABW and I am thankful to Clare at the NAM for permission to reproduce these images. 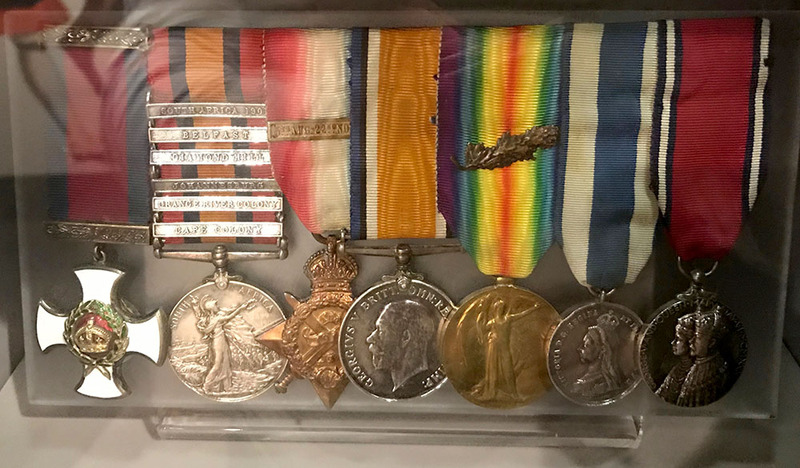 I remember Charles Lusted talking about 'top-heavy' groups is they came with a multitude of orders and few medals. I wonder what he would think of this temperance group to J Smith of the Muster Fusiliers? I don't think I have seen a group with as many awards as this. 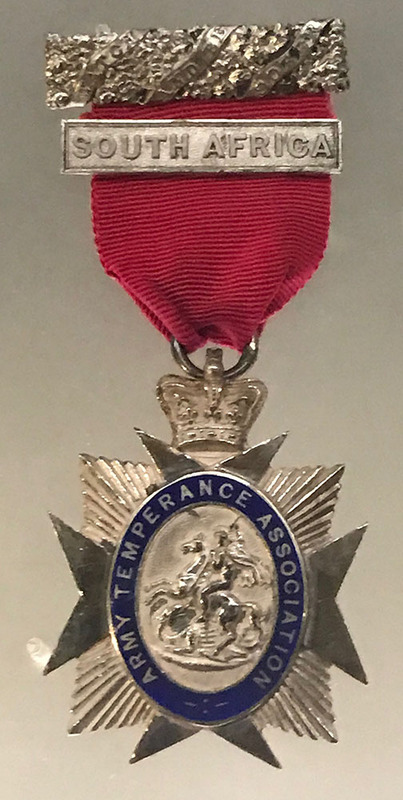 It is unusual to see any temperance medals with military medals. Either they were not earned very frequently or they were split off from from their military equivalents? He was born at Hazel HoIrne, Cumbelland, 10 June, 1868, son of Jonas Lindow Burns-Lindow,Esq., J.P., D.L., of Irton Hall and Ehen Hall, Cumberland, and Mary (who died in 1904), eldest daughter of the late M. H. Quayle, of Crogga, Isle of Man. He was educated at Christ Church, Oxford, and received his first commission 9 Jan. 1892, in the 8th Hussars, in which he was promoted Captain 1 March, 1898. Capt. Burns-Lindow served in the South African War, 1900-1, and was severely wounded. He was present in operations in Cape Colony, 1900; operations in the Orange Free State, Feb. to May,1900; operations in Orange River Colony, :May, 1900; operations in theTransvaal, May to June, 1900, including actions near Johannesburg and Diamond Hill; operations in the Transvaal, including the action at Belfast (Queen's Medal with five clasps). He retired from the 8th Hussars 21 Dec. 1904, and in 1905 joined the South Irish Horse. He served in the European War from 1914 to 1916. He was mentioned in Despatches in Oct. 1914, and again when his Companionship of the Distinguished Service Order was gazetted, 18 Feb. 1915: "I.W. Burns-Lindow, Major, SouthIrish Horse." He was also mentioned in Despatches in Feb. and June,1916, and was promoted Temporary Lieutenant-Colonel, Cavalry Special Reserve. He is an M.F.H., South Union. His D.S.O. was awarded" for services in connection with operations in the field." I cannot work out to what the dates after his name relate. The first date is neither his dob or his first commission in the army. Any suggestions? 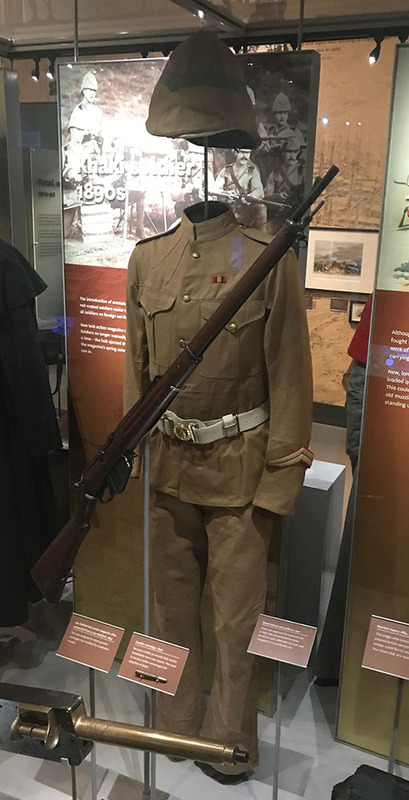 Pictures courtesy of the National Army Museum. The date 1897 does not seem to tie in with either of his commissions being granted. "Services of Officers" says "Burns-Lindow, I.W. 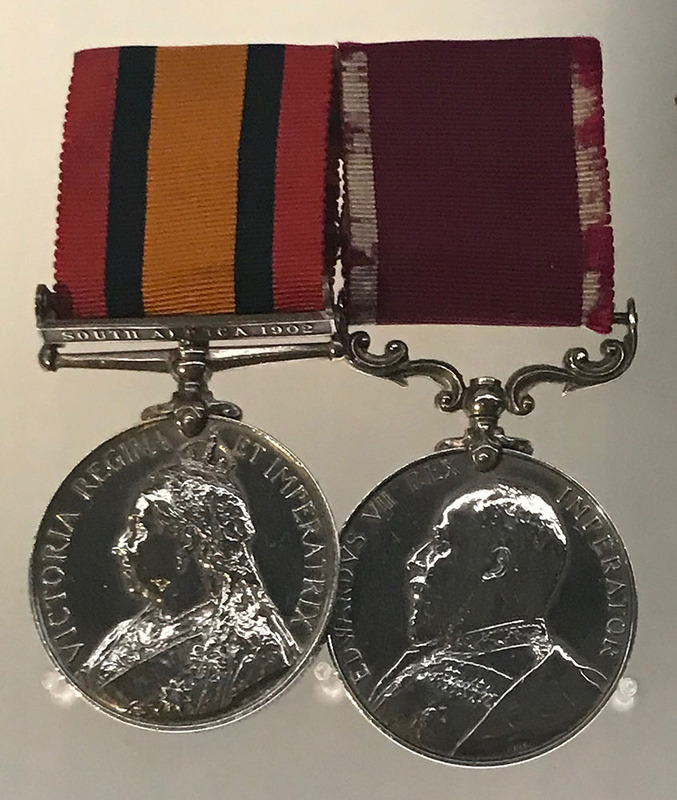 (Capt., retired pay) - S.African war, 1900 -severely wounded, Queens medal with three clasps". My useful Cavalry CD shows his as a Captain with 8H, clasps Joh/DH/Bft/CC/OFS, Dangerously wounded 3/12/00 at Oliphant's Nek and Invalided. Palmer roll agrees. Probably unnecessary to point out that the illustrated Johannesburg, Diamond Hill and Belfast clasps are copies. I wonder why the NAM exhibited this "recreated group"?